There is a certain routine and general recommendations, which can influence the process of hair growth. If sticking to those rules, you’ll see the results faster than usual. Hopefully, you’ll enjoy the article and find it useful enough to take the recommendations from it. Let’s start with comp and oils. Do you have a wooden comb? Having a wooden comb helps a lot when it comes to the absorbing of the hair oils. 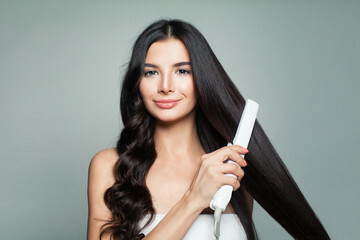 It distributes them and conditions your hair equally while brushing. Additionally, it reduces static electricity. 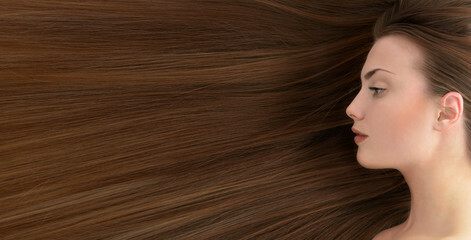 There are so many oils you can use for hair. You’ll definitely find the one you like most. What we recommend to pay attention to are pure argan oil, jojoba oil, macadamia oil, and of course, coconut oil. Before using them, read information on the bottle to know how exactly they should be applied for the maximum effect. 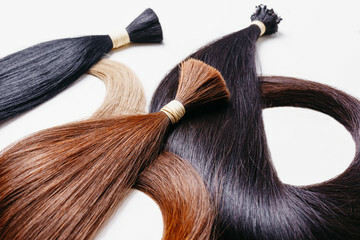 Doing a scalp massage on a daily basis influences fast hair growth too. But it is very important to do it regularly to see the real results. Reduce heat. If it’s possible, don’t use a hair dryer. And don’t forget about a conditioner. Some girls skip this step because of the idea it is the unnecessary one. But you can’t use a shampoo alone. A conditioner is a must. It helps to calm down the strands after using a shampoo with a harsh formula. Trim hair at least every two months. If you don’t visit a stylist 12 months in a row only to grow hair long, it has an opposite effect. It is a huge misconception that you don’t have to trim it if you want to grow it back. Trim it regularly. For example, every 30-60 days. This way, you’ll stimulate the growth process even more. Healthy food. Eat more eggs, carrots, walnuts, spinach, salmon, almonds, and avocados for better results too. Go ahead and try those small tricks too. Create a new hair routine for yourself.